Wells Cottages offer self catering accommodation in the beautiful city of Wells in Somerset. This pair of cottages are a superb base for exploring the area’s many attractions. 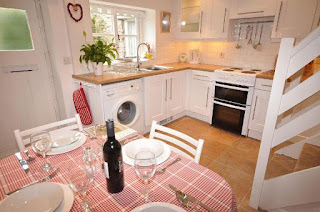 Stable Cottage is full of character & dates back to the 18th Century. It is built of local stone and has two bedrooms and a small garden. Alternatively, Carden Cottage was built in the 17th Century. This is a truly beautiful & spacious cottage. The historic city of Wells is the perfect destination for a relaxing break amongst stunning countryside. Wells is home to the majestic cathedral of St Andrew and the Bishop's Palace, both were built more than 600 years ago. Wells is surrounded by the wonderful countryside of the Mendip Hills, an Area of Outstanding Natural Beauty.